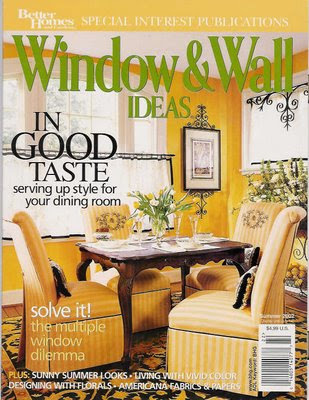 It's really not uncommon for us to find my artwork, picture frames, even rooms I've designed in magazines, books and catalogs. Just yesterday saw my picture frames on the Atlanta Gift Mart application form. 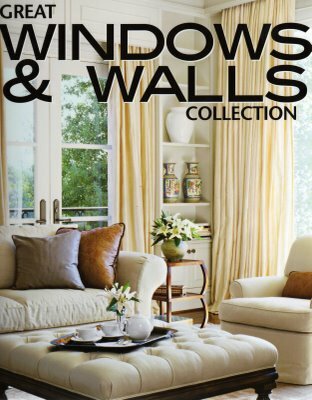 The biggest accidental find was a room I designed ended up in this book. Imagine standing in a bookstore flipping through and finding your own designs. No mention of the designer. Here's the room, which was also on the front cover of this BH&G Window & Wall magazine and you can see all the Before and After's on this previous post. I did have a bit of an announcement, but it will have to wait for now, sorry. Nothing that I can't put off for another post. Just wanted to share my Papillon goodness with you. Everything you do is beautiful, my friend! Love the rooms....and of course the fabric! Awesome!! I can't imagine how exciting all that is!! Can't wait to hear the announcment! That's pretty exciting! I think they should always include the designer's name...I'm surprised they don't do that. How exciting!!! Congratulations. You know I love that butterfly fabric. It's definitely prime-time worthy. That is sooooo cool. So happy for you! how FUN is that! now your on screen and on paper! That IS exciting. I hope you are receiving proper credit when your work is used. If not it would be dissappointing. Beautifully designed rooms. Congratulations.. It sounds like you love your work. I just can't imagine having my designs pop up everywhere...how surreal! How fun! I'm coming back to hear the announcement! That is so exciting...if that ever happens to me I think I will pass out. I got the fabric and belt. Thanks Paula I so appreciate it. It was fabulous to see a box waiting for me when I got home from my vacation. Kiss kiss! 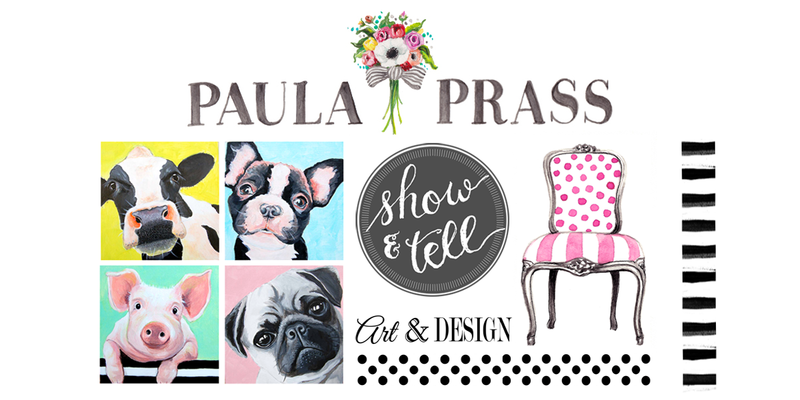 Stopping by to say hello Paula! I am Kay Ellen's Mom such a beautiful blog and designer you are!